We're shedding our winter wear which means no more wool coat, no more knee high boots, no more toques hidden at the bottom of our bags. We get to switch to a more colourful wardrobe and one that fares better in warmer weather as constant rain can ruin even the most resilient pieces. 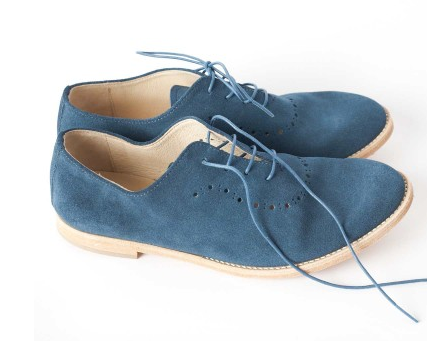 With that in mind we would love our Spring look to include the new suede Padrone slouch toe oxford flats in blue. We're big fans of oxfords to begin with and having light weight, handcrafted super soft blue suede ones made with love in Japan is pretty ideal. Available at Koshka.